The first milk produced, colostrum is low in fat and high in protein and antibodies. 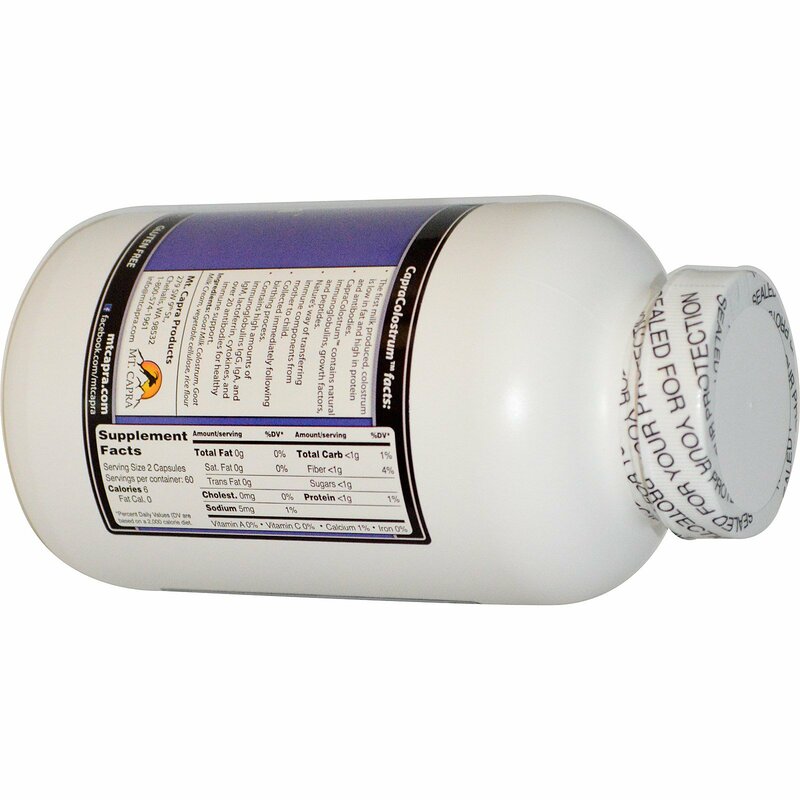 CapraColostrum contains natural immunoglobulins, growth factors, and peptides. Nature's way of transferring immune component from mother to child. Collected immediately following birthing process. Contains high amounts of immunoglobulins IgG, IgA and IgM, lactoferrin, cytokines, and over 20 antibodies for healthy immune support. What biological role does colostrum play? 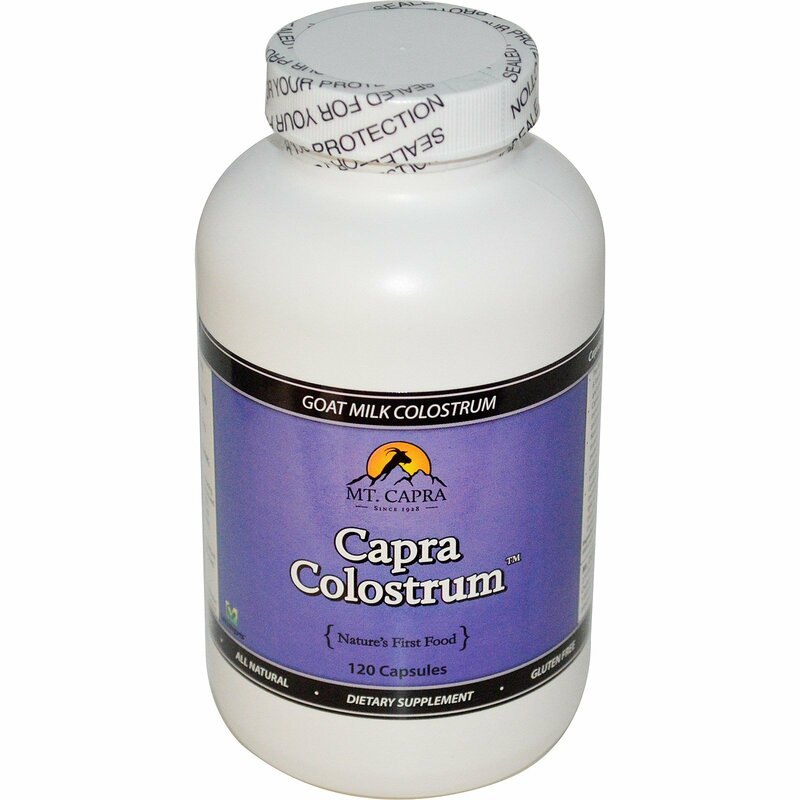 Colostrum has dozens of health related components, the primary being immune and growth related. Colostrum is made up of various macro and micro constituents such as cytokines, immunoglobulins, lactoferrin, growth factors and hormones, etc. These components have various biological roles that are vital to proper health and immune function. Mt. Capra is aware that baby goats (kids) must utilize the postpartum colostrum from their mother to 'jump start' their own newly formed immune system. We have taken steps to allow the kids to have total access to their full need of colostrum. Standard Use: Take 2 capsules twice daily on an empty stomach with 6 - 8 oz. water. Advanced Use: 2 capsules four times per day for up to 90 days. After 90 days, continue standard usage. Athlete Use: Follow advanced usage and take a loading dose 30-45 minutes before workout/event. If you are pregnant or nursing, check with your doctor.